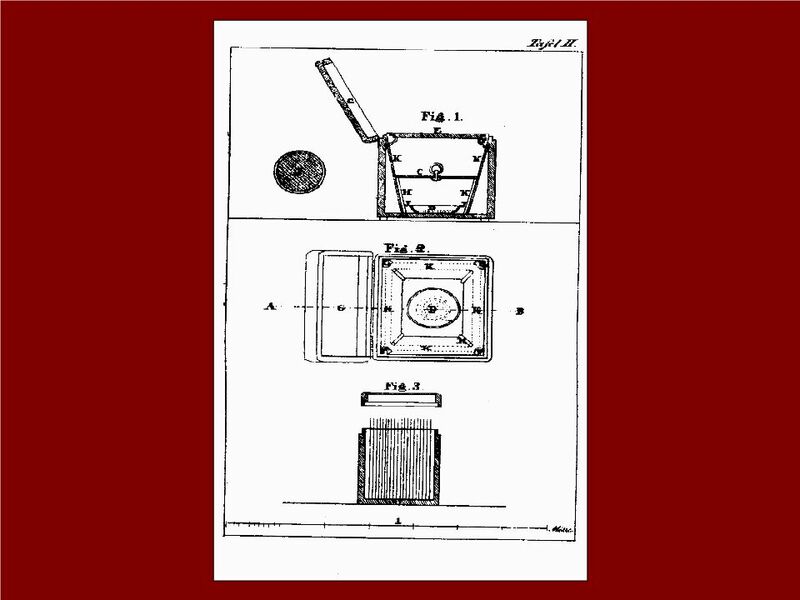 The first description of the daguerreotype process became public in Hungary in 1840, translated by a Theresianum teacher in Vienna, Jakab Zimmermann, who used the German translation of Daguerre’s description. 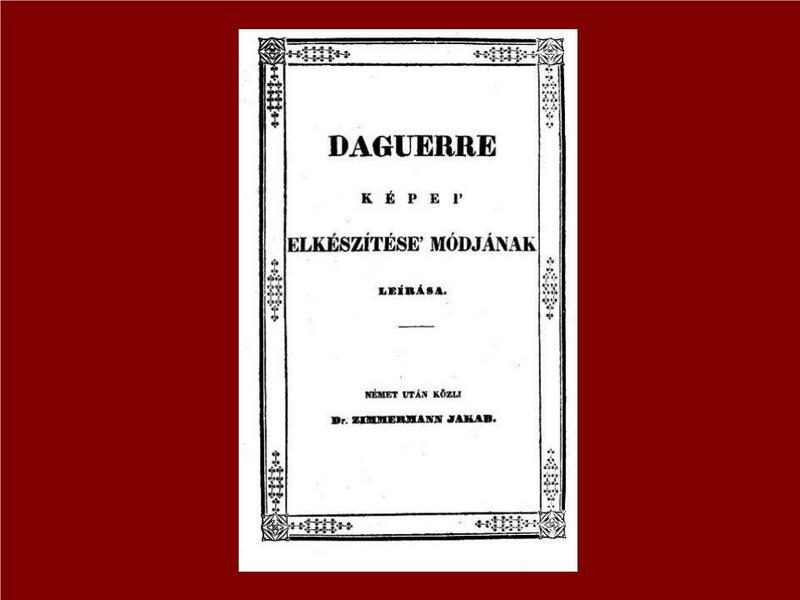 The first Hungarian-language text on the conservation of daguerreotypes can be read on page 21 of this book. 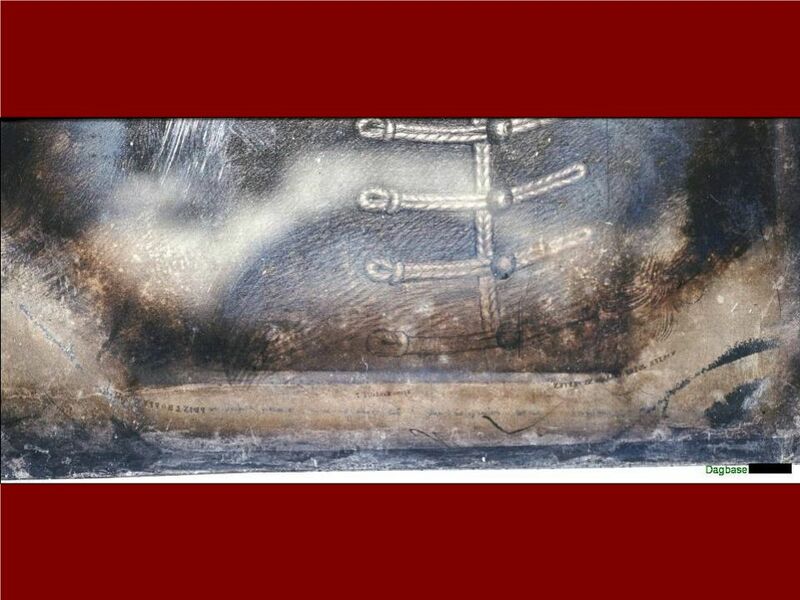 The text, written in old Hungarian, says that the photograph must be placed under glass and has to be tightly sized (referring to airtight housing), and this way it will remain unchanged even in daylight. 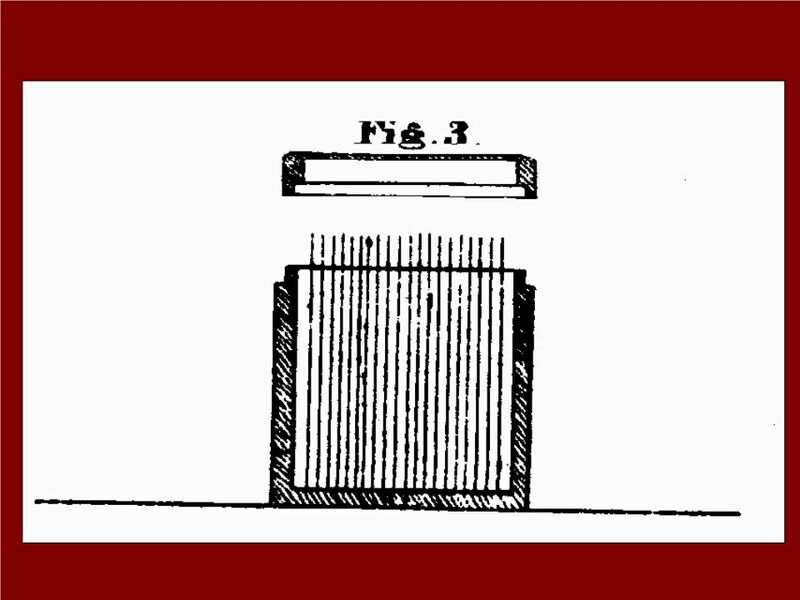 Further on, the book suggests that the daguerreotypes should be put into the box (as seen in the book’s illustration) designed for the storage of the already sensitized and ready-to-use plates, and should be sealed with a piece of paper. So much knowledge on conservation, as one can see on the majority of the decorative housings from the Daguerreotype period, would have been almost enough to preserve the photographs for a long time, even up to the present (of course with some maintenance). But this was not the case. With the end of the Daguerreotype period the necessary knowledge faded as well, and the most damage of the plates has been caused so far by insufficient housing. The first daguerreotype in Hungary (as far as we know) was taken by Antal Vállas in Pest on August 29, 1840, when he presented the process at a session of the Hungarian Academy of Sciences and took two pictures of the Royal Castle standing on the Buda side of the Danube. These picture were not too good because of the foggy weather, so the session quickly moved on to the next point of its agenda. Vállas’s plates have not survived. 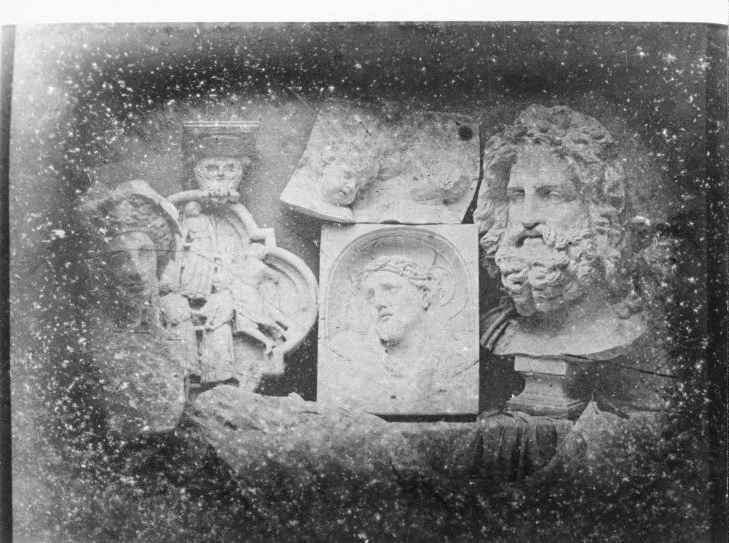 The earliest photograph in a public collection is an experimental piece by Daguerre, which he presented to Austrian-Hungarian ambassador to Paris, Antal Apponyi, and signed on the passe-partout. In addition to the deteriorating protective housings and fading knowledge, there were two more damaging factors that did harm during the history of Hungarian Dags: one is the ever returning waves of chemical cleaning (potassium cianide) and the other is History itself. Since the time of Dags there were two world wars and three revolutions devastating the country. In addition to the destructions caused by the fights, plundering and the waves of immigration (the owners took their photos with them if they could) have also seriously decreased the number of Hungarian Dags. 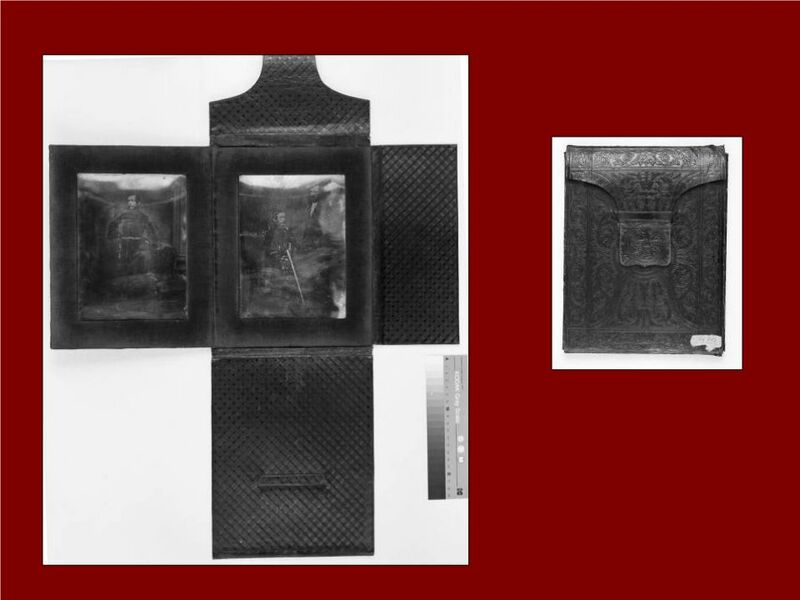 and later, during the collodion period the French René P. P. Dagron, one of the inventors of the microfilm, made and inserted microscopic pictures into all sorts of objects. These were later smuggled into Hungary. The museum houses one such ring. This period was followed by a long era which can be caracterised by the massive oxidizing of Dags, caused by deteriorating protective housings (broken or disintegrating glasses, housings letting in air because of the aging materials). In many cases the original but already ugly housing was replaced by a new, more stylish one, which however was completely unsuitable for the Dag. The numerous oxidized Dags called for the urge to clean the pictures, and in most of the cases this was made with the potassium cyanide method which removed part of the elements of the picture too. The last such wave of cleaning started in Hungary in the 1950s and lasted until the early 1970s. We have examples of Dags which oxidized first as a result of insufficient conservation, then were cleaned with the damaging method, then after oxidizing for the same reason it was cleaned again, and so on. Conservation was not appreciated too high at the collections anyhow, motivations pointed towards restoration, a process giving more spectacular results. In addition, photographs were not considered as artworks at most of the collections, they were treated as bearers of documents. A turning point in the preservation of Dags. might have been the end of the 1980s when a exhibition was organized of the Dags of Hungarian public collections by the fellows at the predecessor of the collection of the Hungarian National Museum . During the preparations of the exhibition, conservation work was done on the most damaged parts of the Dags (mending and making housings, decreasing their harmful components). Unfortunately this work was limited to part of the damaged material due to the circumstances, and after the opening of the exhibition the work stopped. 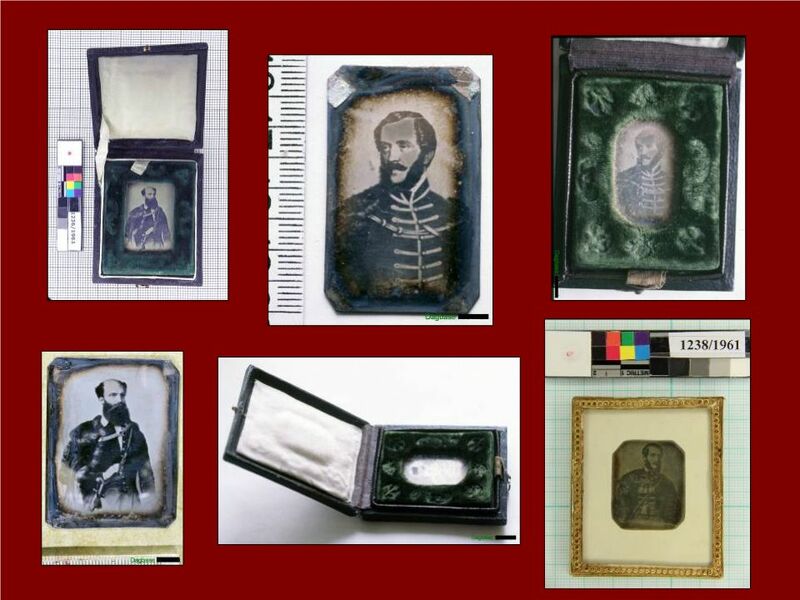 There were a number of terrifying stories in connection with these daguerreotypes. 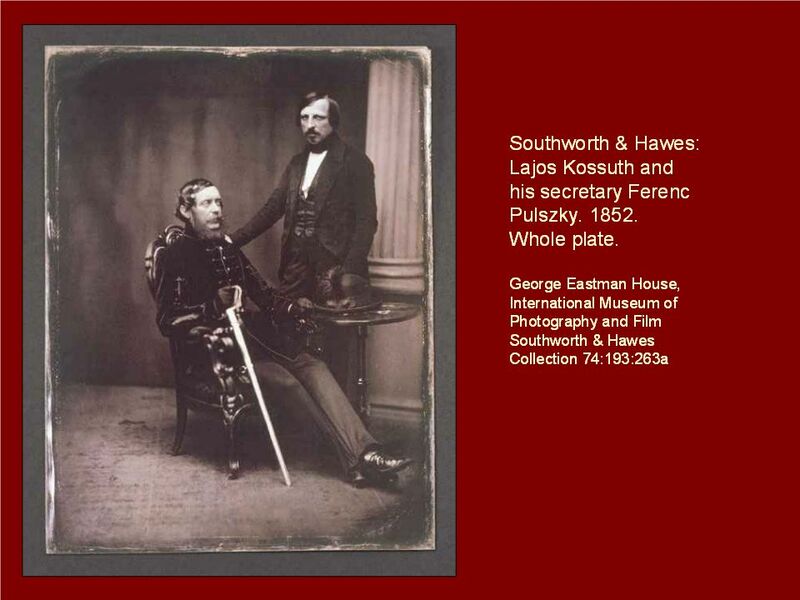 Here’s one characteristic story about the Kossuth daguerreotypes by the American Southworth and Hawes. 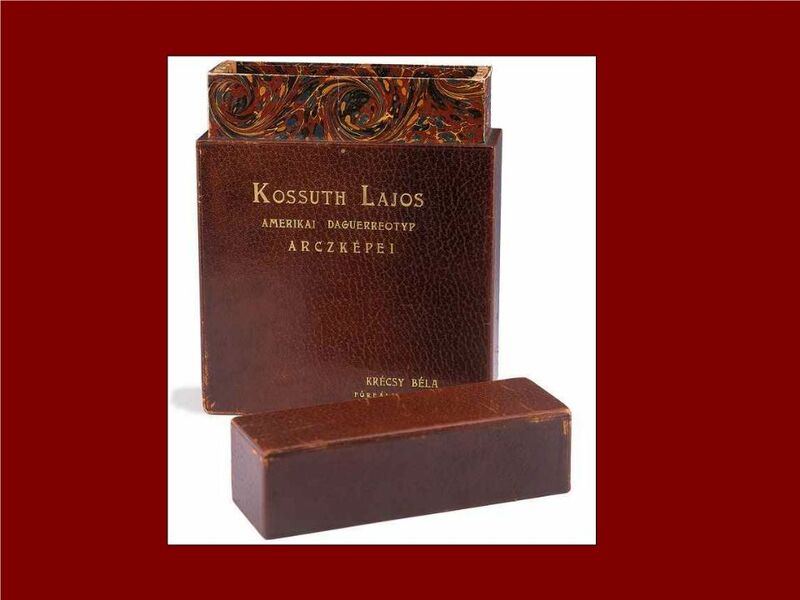 The emblematic leader of the 1848-49 Hungarian Revolution and War of Independence, Lajos Kossuth, who lived in Exile, had some full-plate daguerreotypes made of himself and his secretary by the abovementioned studio for propaganda purposes in 1852. Some of these pictures can still be found in collections all over the world. In 1893 a teacher brought the remaining 17 of them to Hungary. The plates were taken out of the protective housings (the contours can still be seen on the plates), and they were put into the case used for the sensitized plates – probably to make transportation easier. Upon returning home the teacher Béla Krécsy donated the pictures to some collections. Seven of these are still safeguarded in three collections. 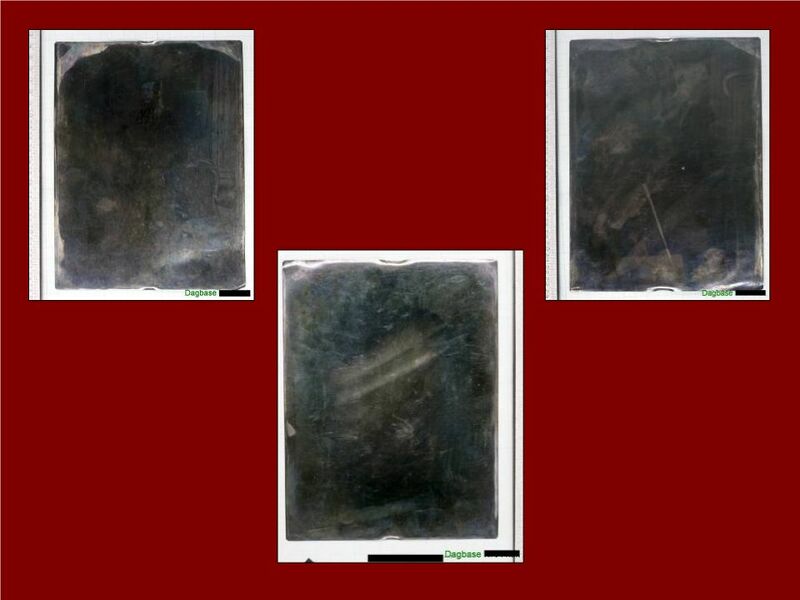 These plates were left without any housing until 1989, and two of them are still without and protective glass. Naturally they all turned black. 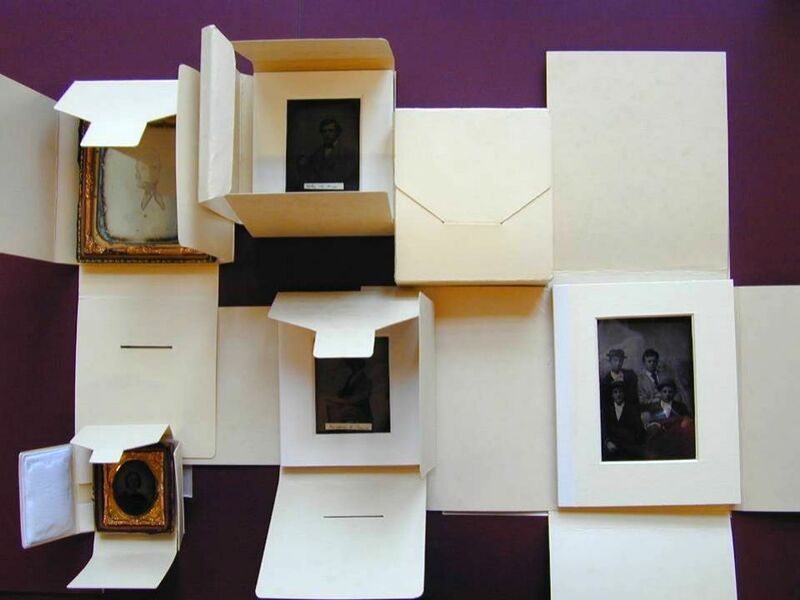 The least black are the ones which stayed in the case but at another collection two daguerreotypes were put into one decorative passe-partout without any glass, and in a third collection the daguerreotype was put into a paper bag used for modern photograph paper. 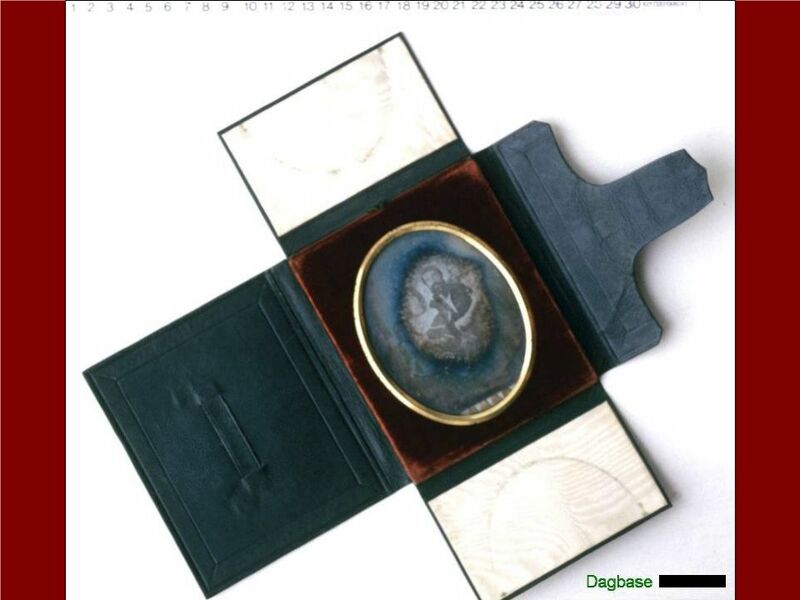 The products of this conservation, photographs and data of the daguerreotypes, were later, during the 1990s used by a private expert to compile a database of about 90 daguerreotypes. Its text was digitised then, the photographs were digitised last year. From the technical point of view they are ready to be put into the EU-database. The data were recorded with the help of this chart. The second column contains the guide to filling in, the word installation is a collective word for the protective housing of the daguerreotype (frame, case, glass, passe-partout). glass plate: missing, broken, decomposited. plate, other, new back glass/cardboard, new distance holders between glass plate and silvered face of the plate, etc. conservators (Fundamentals of the Conservation of Photographs) of the Getty Conservation Institute and the University of Fine Arts And Design (Bratislava) between 2008-2010, and is a student at the Conservation Program of the University of Fine Arts, specialized in paper and leather conservation. The issue of a photograph conservation studio was for a long time unsettled, and there were preservation problems with the storage of photographs at the previous location of the collection. When the collection was moved here to its present place in 1997, an air-conditioned storage with more modern equipment was set up. In 2008 the photograph conservation studio was given a room as well, and though not perfect neither in size nor in equipment, after long waiting the work could be started here at some level. 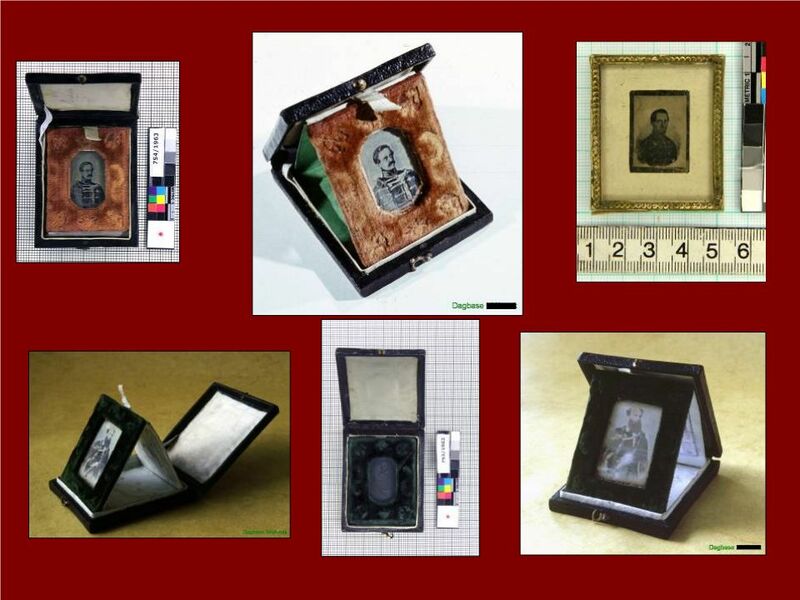 From 2004 Zita Sor has been making additional cases to protect the housings of the daguerreotypes. 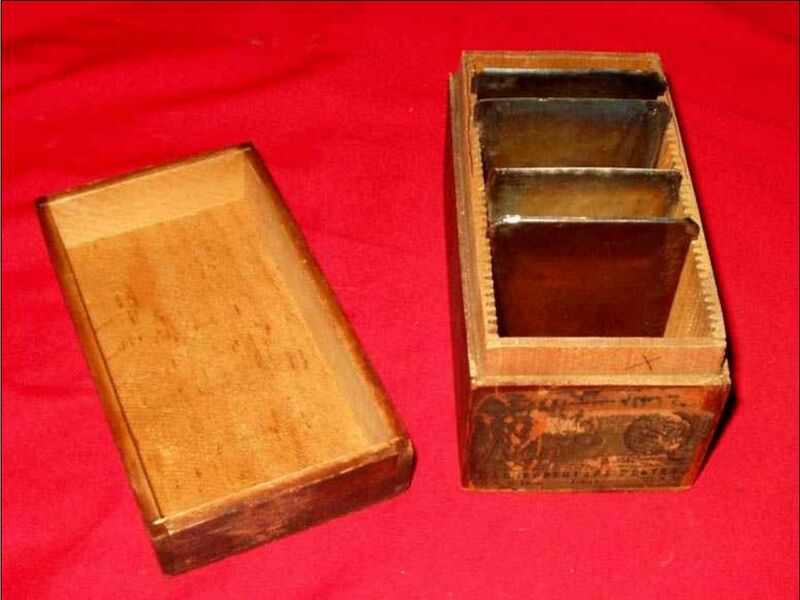 These are the so-called ’tuxedo boxes’, also used at George Eastman House, but without any glueing. 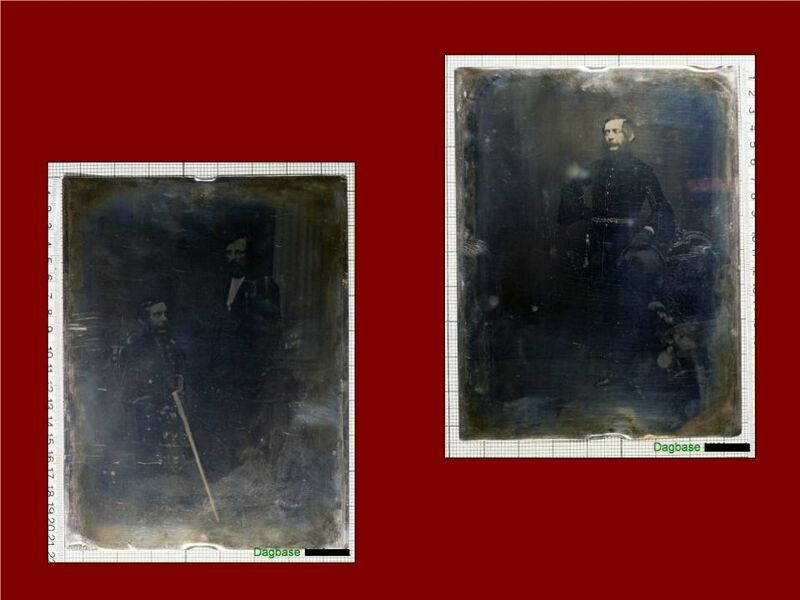 The museum has decided to compile a database of its daguerreotypes, combining the work with systematic conservation. We have already started to work on the status report.